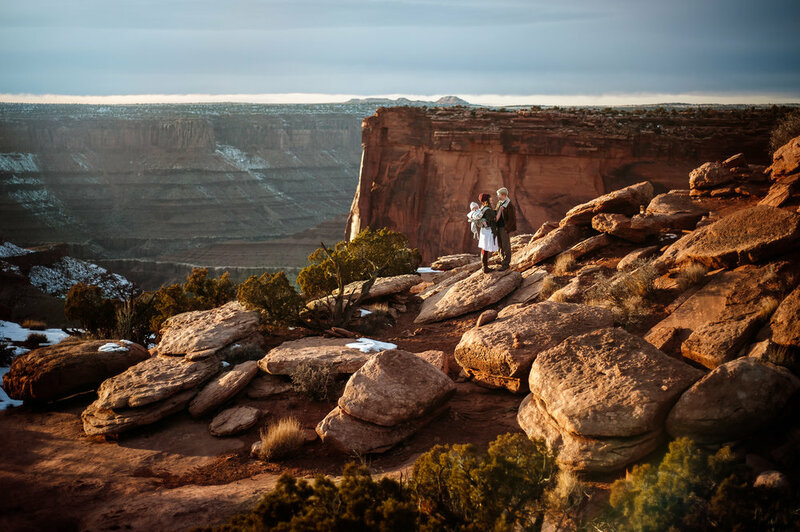 When I was in my early twenties, all I could dream about was traveling around the country full-time, photographing for a living. I spent a lot of my time photographing adventure races from coast to coast, and had just realized my love of photographing people in nature. I LOVED adventure races, still do, but they didn’t pay the bills…only barely paid to travel. I wanted to always be on the road, meet new people, explore new places and photograph. Fast forward 20 years...THIS IS MY LIFE. I pinch myself on the daily, wondering when I’ll wake up. I’m so immensely thankful for the digital era, for social media, for the people who have helped me get here, and the people who trust me enough with some of their most precious memories. 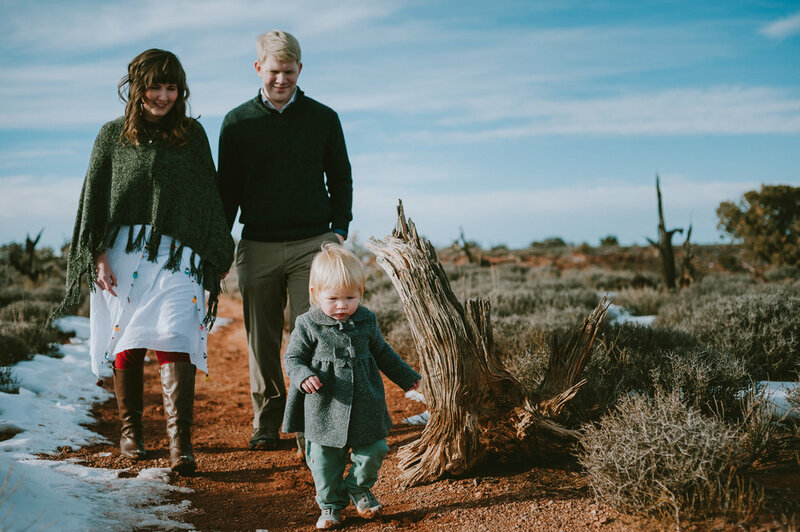 Because of a common connection via Adventure Mamas, Sam contacted me and booked me to photograph her family near Moab last week. 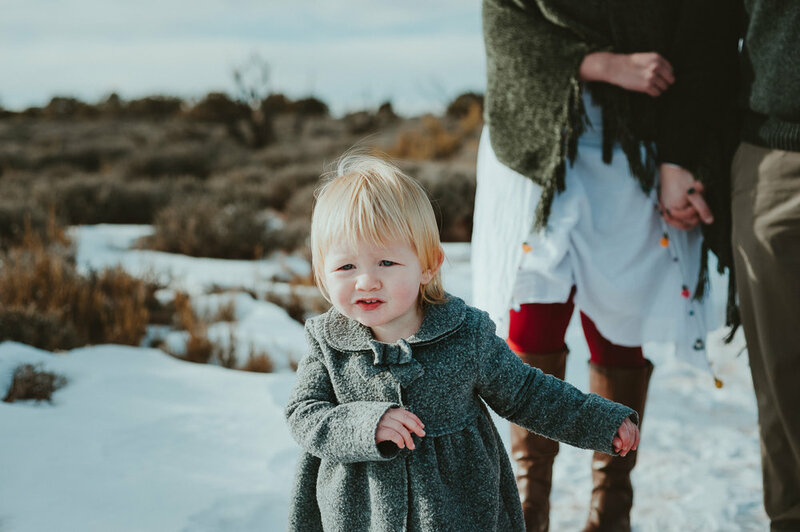 She and her family drove from Grand Junction to capture a slice of Utah on a gorgeous winter day. 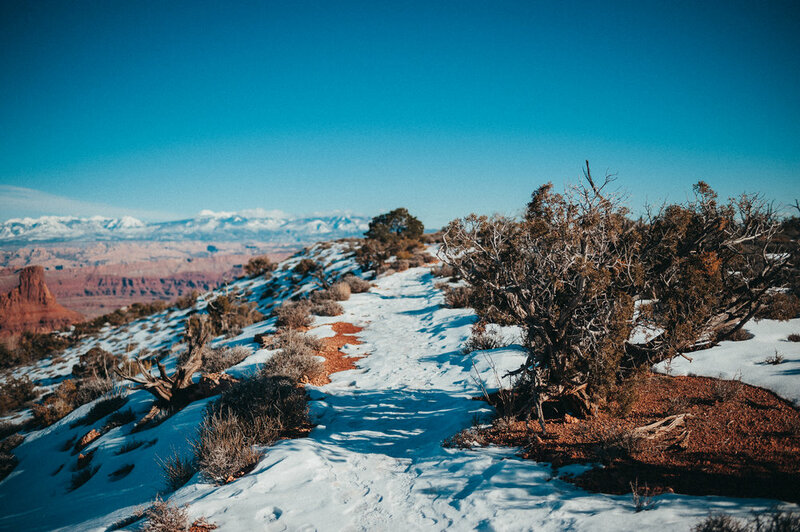 We hiked, we laughed, we connected and we photographed along the way. My Noah (who is ALWAYS with me) doesn’t easily connect with new people but he and Chris fell into a quick and easy conversation about video games while Sam and I had our own conversation. 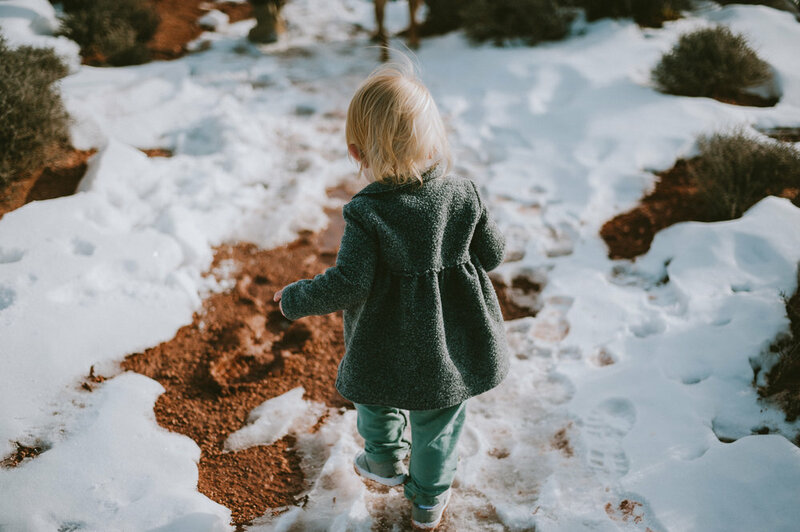 Little Lyra wanted to rule the trail and make her own way, and we let her do that when possible, tucking her away on mom’s back the rest of the time. Because I’d scouted the day before, I knew exactly what time I wanted them at the overlook for some delicious pre-sunset light. Unlike the sunny day with blue skies the day before, however, we had a partly cloudy day that made me wonder if we’d get any of the warm glow that I was craving. 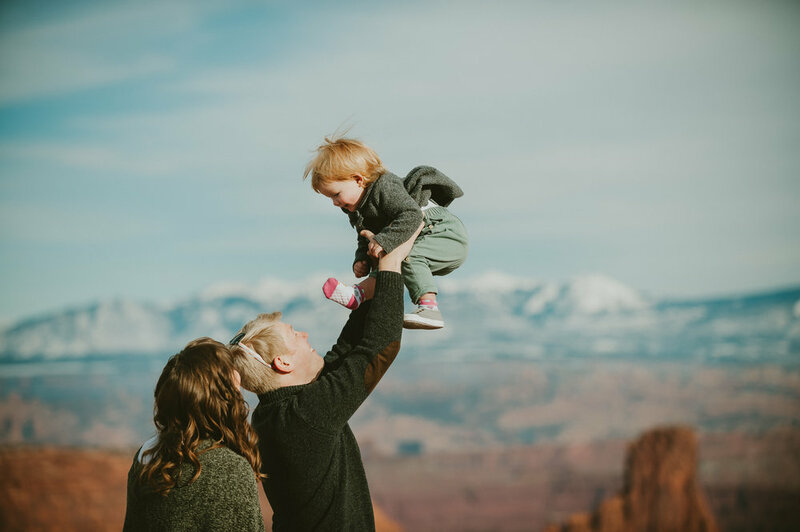 Mother Nature waited until they stepped onto the overlook to give us everything we were hoping for: that delicious warm glow that perfectly fits the moment for this sweet little family.